Your loved one is driving home on Interstate 80 on her way back from visiting Sacramento. The drive seems to be going smoothly when, suddenly, a drunk driver loses control of his vehicle and drives into the oncoming lane, crashing head-on with your loved one’s car. The collision is severe, and your loved one sustains injuries that cost her life. Tragically, scenarios like this one are a reality for many Californians. In fact, according to data from the Office of Traffic Safety, an average of over 3000 people lose their lives in California crashes every year. In addition, thousands more lose their lives in accidents that could have been prevented such as exposure to dangerous chemicals at work, boating accidents, medical malpractice, and more. If you have lost someone in your family or somebody that you depend on because of another party’s negligence, contact a Dixon wrongful death lawyer so that you can learn about what legal options are available to you. An attorney with experience in wrongful death cases will be able to help you understand your case and can give you advice about whether or not it is a good idea to seek wrongful death payments through legal action. Do I Really Need to Have a Wrongful Death Lawyer? It is very highly recommended that you at least speak to a wrongful death lawyer so that you can get a solid idea about what your legal options are. Most wrongful death and personal injury lawyers, including myself, offer free initial consultations. During such a meeting, you can get valuable information about how you can proceed with recovering financially after your loved one’s death. If you have a viable wrongful death case, hiring a lawyer to represent you is often the best thing you can do. 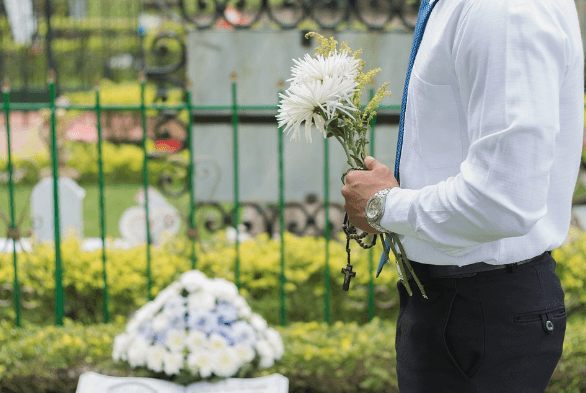 There are a lot of factors to consider when filing a wrongful death case and attempting to claim payments from negligent parties and/or their insurers. Those filing a wrongful death case need to contact insurance companies, submit proper paperwork as well as itemized bills, meet deadlines, negotiate with claims adjusters, and more. For many, the process of pursuing a claim can be overwhelming. On top of all of this, those who are filing a claim are most often grieving and trying to recover emotionally after they’ve just lost somebody they love. A Dixon wrongful death lawyer will be able to take the burden of dealing with a legal claim off of your shoulders. Not only can a good attorney take care of paperwork and make sure deadlines are met, but a lawyer with experience will know the best way to investigate the incident, prepare your case, negotiate with insurers, and, if necessary, argue in court so that you receive the full amount of recompense that you deserve. The lawyer is sensitive and compassionate about your situation. The lawyer always takes time to clearly explain what your legal options are. The lawyer has a good reputation (a good way to check this is by using third-party websites such as Avvo). The lawyer has had previous success with taking wrongful death cases to trial. While all of these things are important factors, you should also make sure that you feel personally comfortable with the lawyer that you choose. Every case is different, and there is always a chance that your case will go to trial. However, the vast majority of wrongful death and personal injury cases are settled without the need for a jury. In fact, over 90 percent of claims are settled out of court. Even so, your case may need to go to trial, especially if the insurance company is making low-ball offers or liability for the accident is contested. In situations where cases do go to trial, your lawyer will be critical and will take on the job of filing lawsuits, drafting the necessary pleadings, taking depositions, and more. I’m Ed Smith, a Dixon wrongful death lawyer who has been representing area residents for over 36 years. If you have suffered the loss of a loved one because of the negligence of another, please get in touch with me to get some friendly, free advice by calling (707) 564-1900. Before calling, take a moment to see what my clients have to say about me on these websites. Google, Yelp, and Avvo. If you would like to learn more about my past successes, take a look at the Verdicts and Settlements my firm has obtained on behalf of our clients. I’m part of the Million Dollar Advocates Forum. This forum is a fellowship of highly-rated U.S. trial attorneys who’ve won a verdict or negotiated a settlement that was worth over USD 1 million.